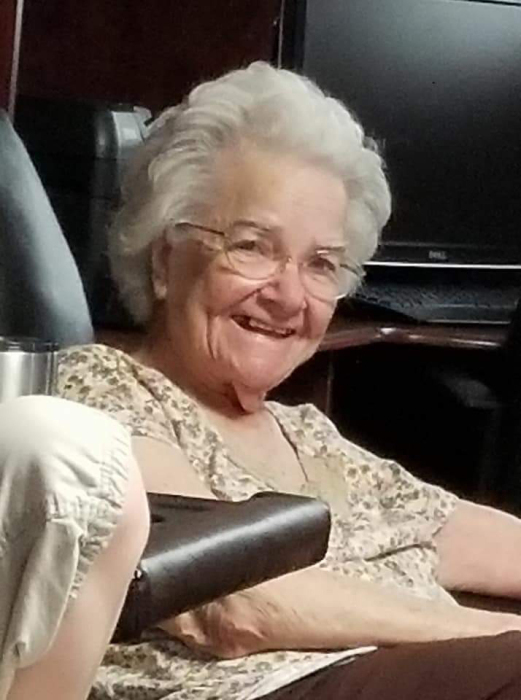 Mrs. Doris Smith Jackson, 90, of Ridgeway passed away on Tuesday, February 12, 2019. Born in Winnsboro, she was the daughter of the late Fred Henry and Lonie Wilson Smith. She is survived by one son, Oscar Jackson, Jr. (Debbie) of Ridgeway; four daughters, Donna Murphy (Eric) of Ridgeway, Nettie Bairefoot of Leesville, SC, Jo Ellen Trueblood of Elgin, SC, and Rhonda Atkins (David) of Byhalia, MS; 18 grandchildren, 38 great grandchildren, and 7 great-great grandchildren. In addition to her parents and husband, Oscar W. Jackson, Sr., Doris is predeceased by one son, Larry Jackson; daughter, Margaret Sue Yarborough; and grandchildren, Jennifer Jackson and Eddie Yarborough. Funeral services will be held at 11 o’clock AM Saturday, February 16, 2019 at Pope Funeral Home conducted by Reverend Harry Varn. Burial will follow in Centerville Cemetery. The family will receive friends on Friday evening from 6-8 o’clock PM at Pope Funeral Home. The family would like to thank Hospice Care of South Carolina, Amedisys Home Health, and Providence Hospital NE for their support and care. Pope Funeral Home is assisting the Jackson family.